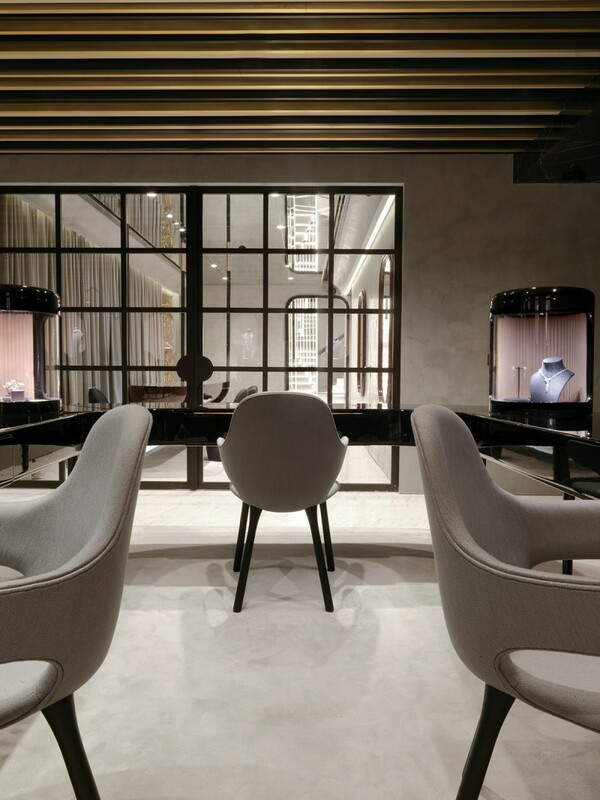 The Nirav Modi flagship boutique, situated in the upmarket Defence Colony area in New Delhi opened its doors in June 2014. 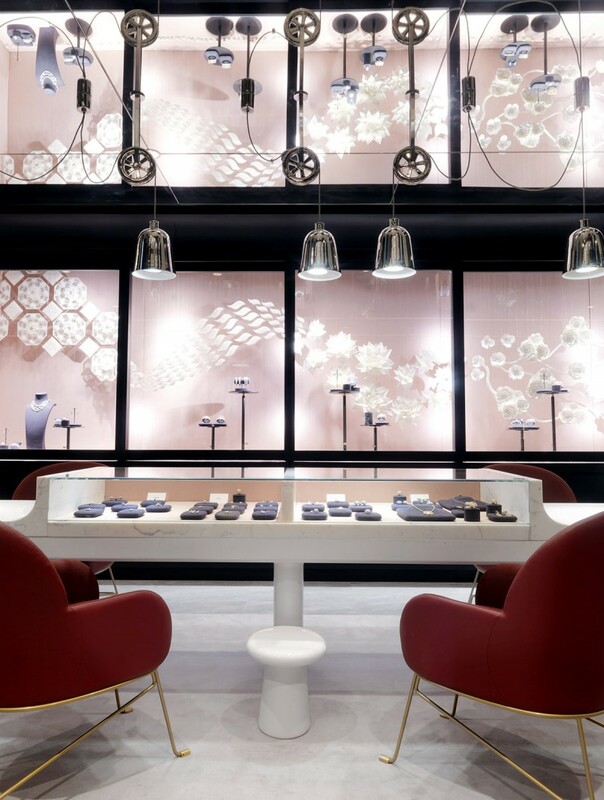 It is Modi’s first retail boutique in India. 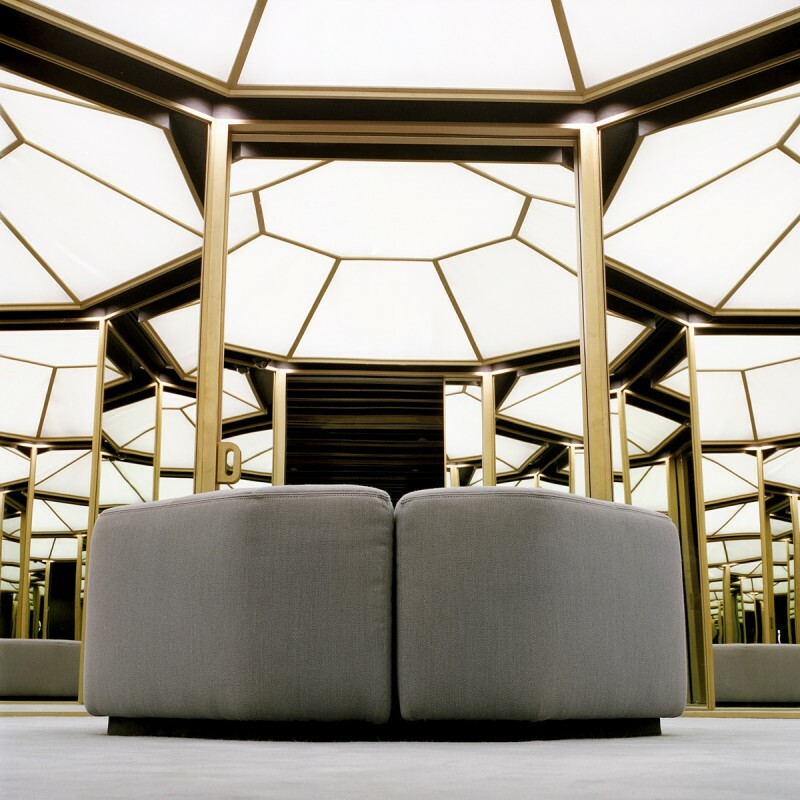 Sprawled over 6,000 sq ft on two floors, the boutique has been tastefully designed by the Spanish artist-designer Jamie Hayon. 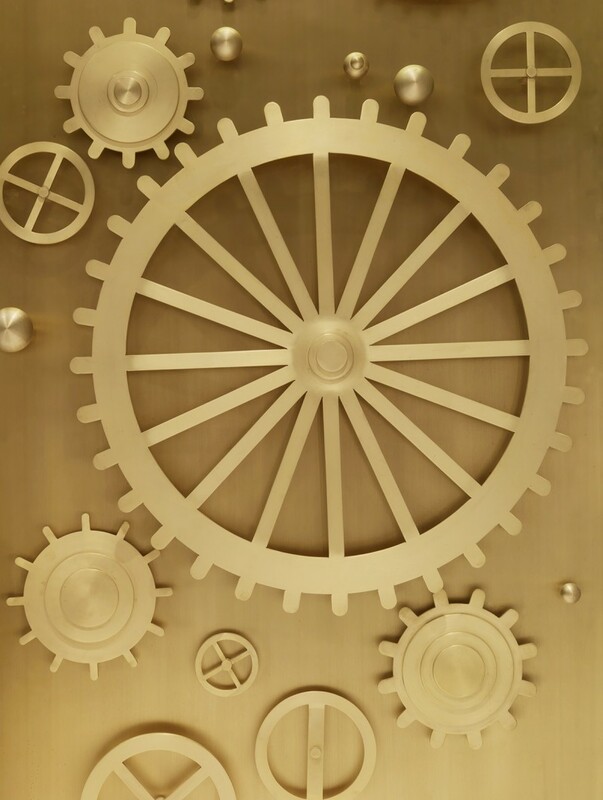 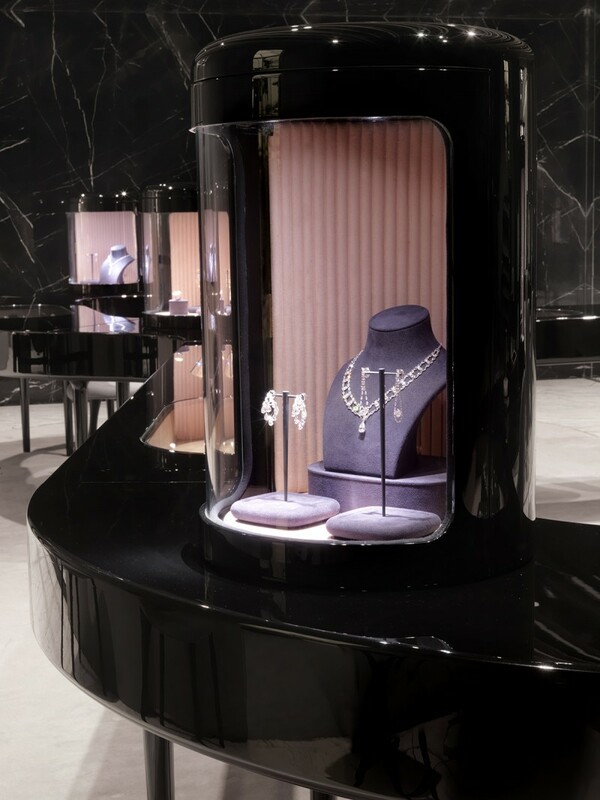 The preciousness of the jewels and detailed craftmanship are fully captured in the interior design of the store. 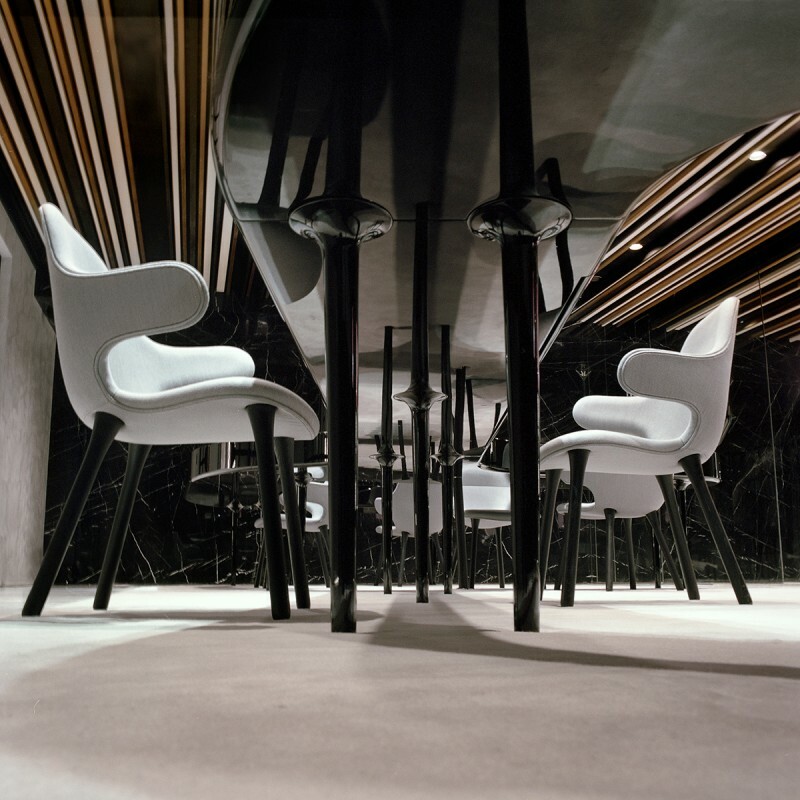 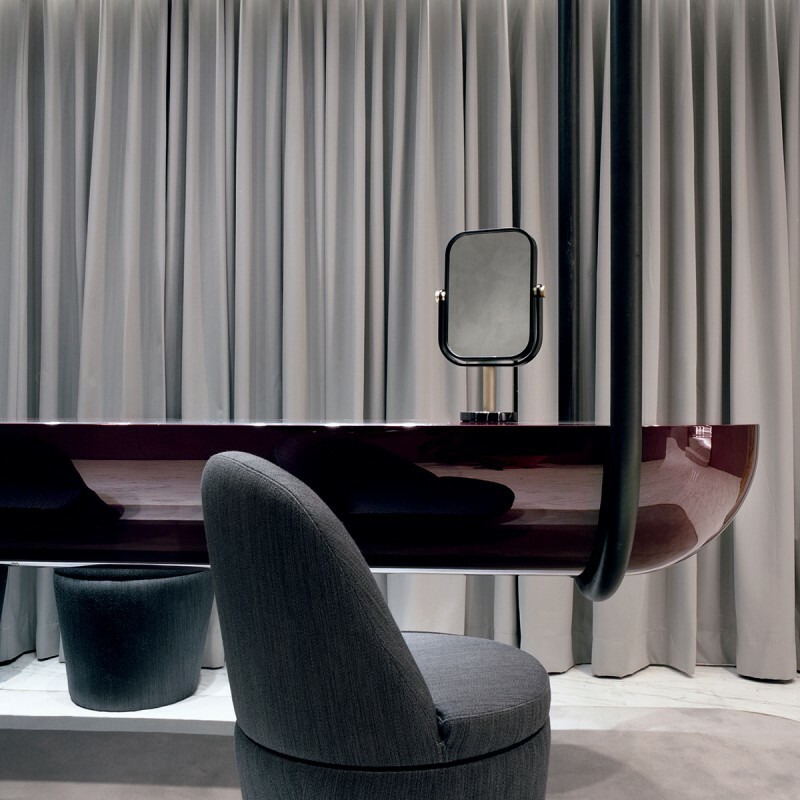 Throughout the space, there is a contrast of materials and a range of custom designed eye catching furniture items set in a highly tailored ambience, creating a dynamic experience for the visitor. 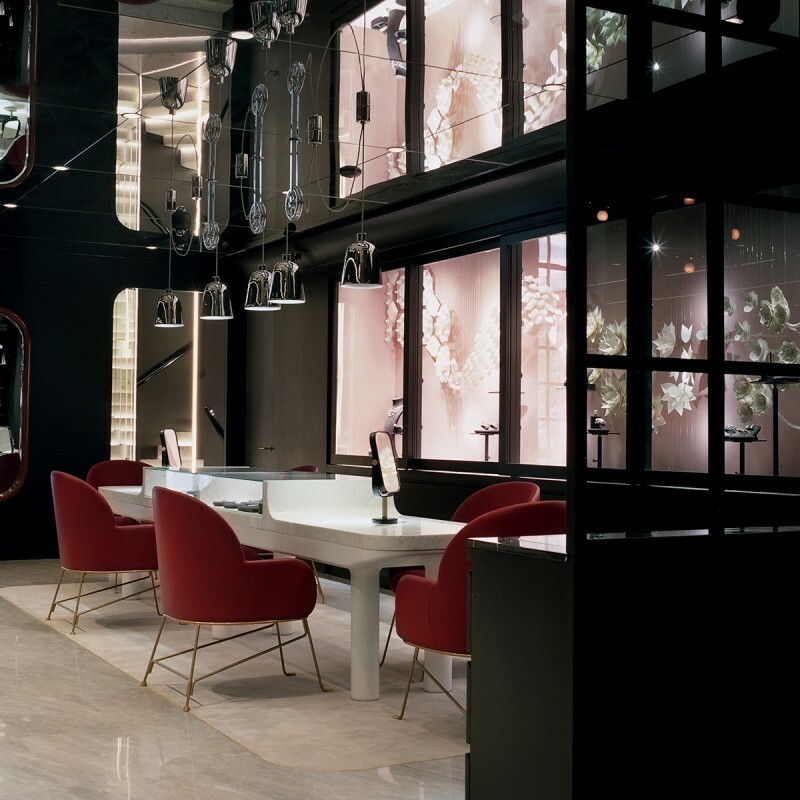 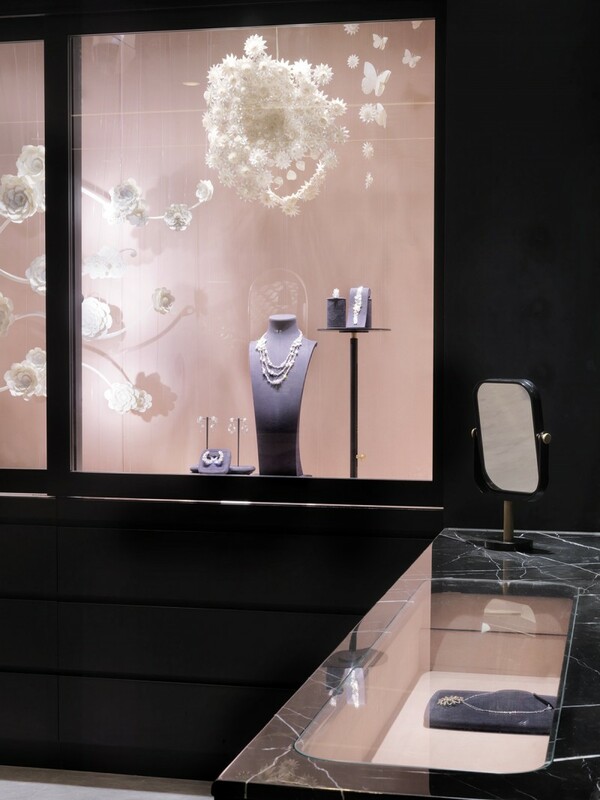 Elegance, playfulness and innovation are visible all around the boutique with its installation-like approach to the way of showcasing jewelry that makes this design truly unique and enchanting. 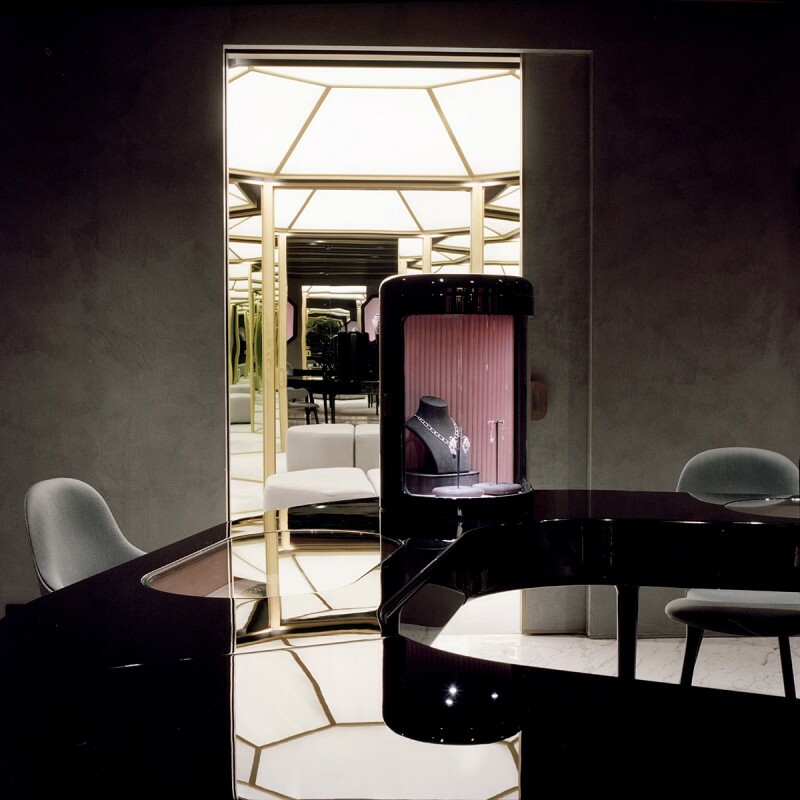 The most innovative piece in the store is a high ended lacquered hanging table, a unique design that keeps eye attention not only for its beauty, but for the magnificent way it is constructed. 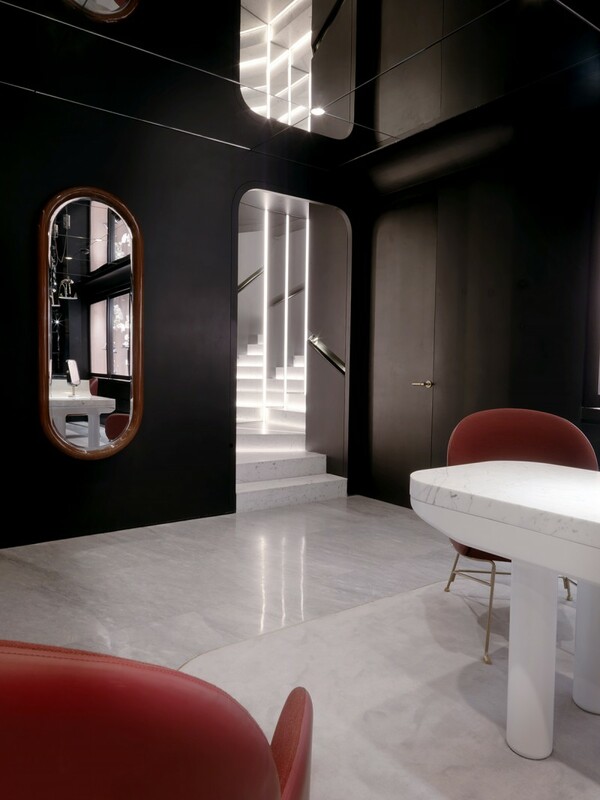 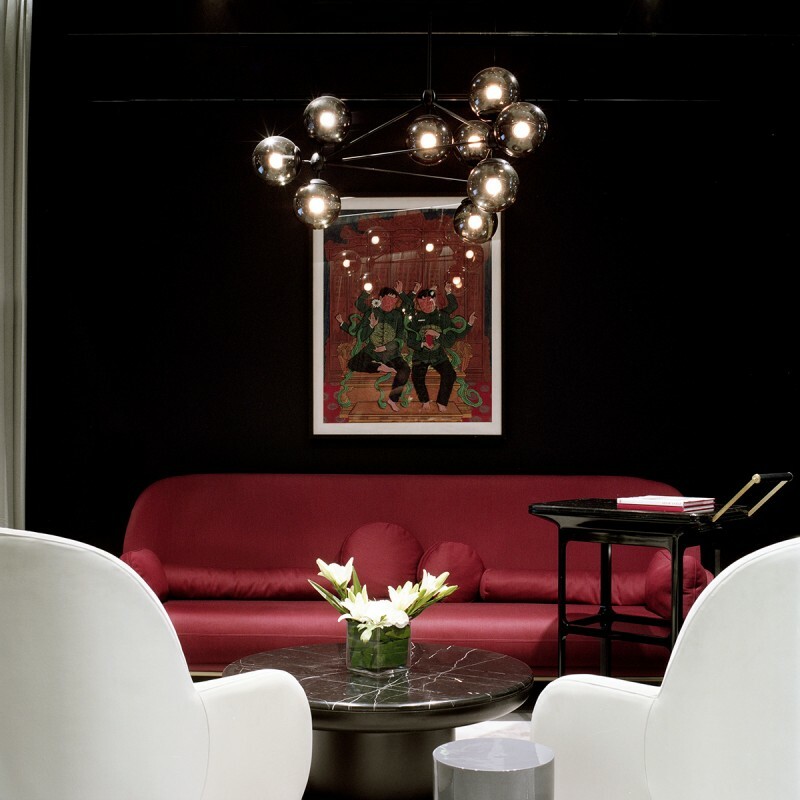 Emphasis on theatricality and attention to detail are expressed in its luxurious ground floor with a colour palette that ranges from black and grey to stark white, with flashes of vermillion red hue. 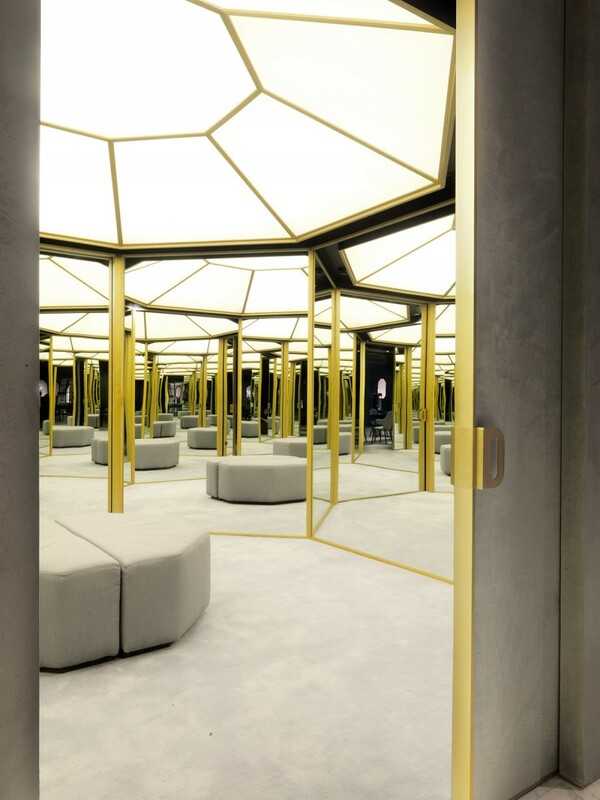 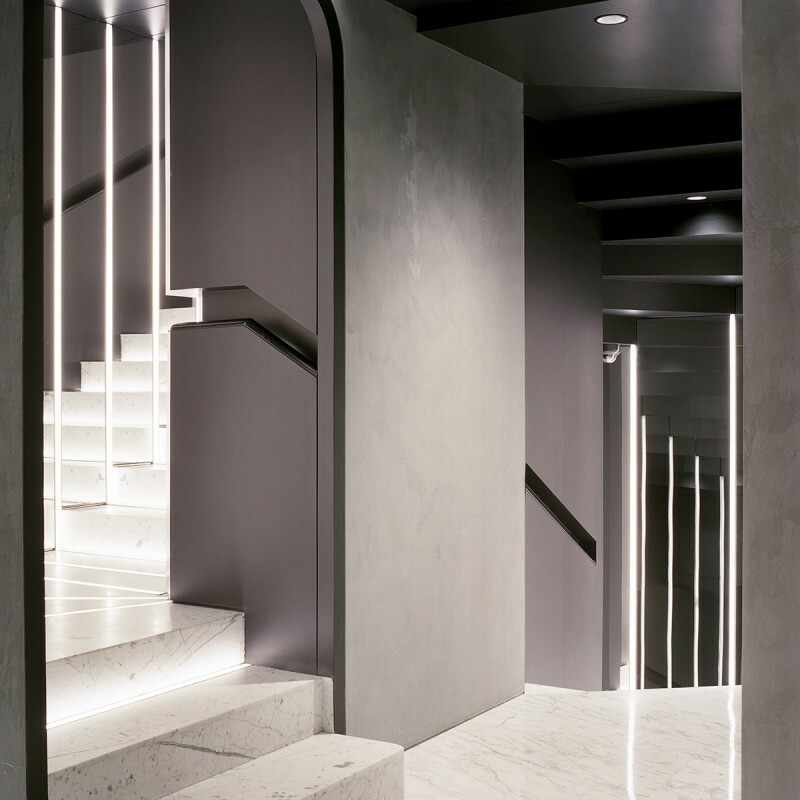 A mirrored stairway leads to the first floor, with its dedicated bridal salon and a workshop where artisans craft jewels as customers look on. 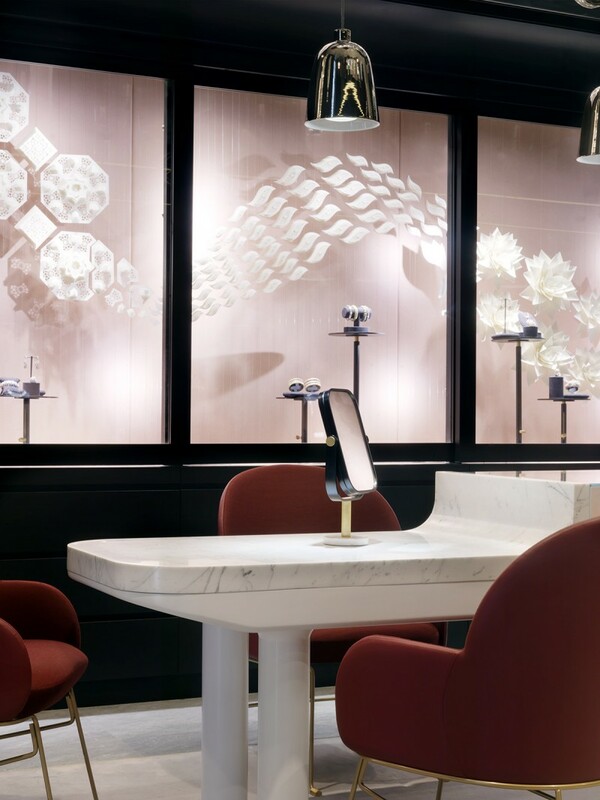 A continous organic shaped counter fills almost totally “The River Room”, a very carefully designed space where jewels are shown and costumers enjoy the experience of trying Nirav Modi’s exclusive pieces.